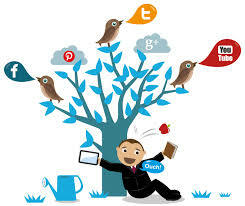 Primary purpose of this article is to describe Social Media Marketing Rules. Social media marketing programs usually concentrate on efforts to develop content that lures in attention and encourages readers to share it across their social networks. The resulting electronic word of mouth marketing refers to almost any statement consumers share via the web (e. g., internet sites, social networks, instantaneous messages, news feeds etc.) about an event, product, service, brand or company. This article btiefly discuss some Social Media Marketing rules: the Listening Rule, the Quality and Value Rule, the Focus Rule, the Accessibility and Patience Rule, the Acknowledgment and Reciprocity Rule and the Influence Rule.